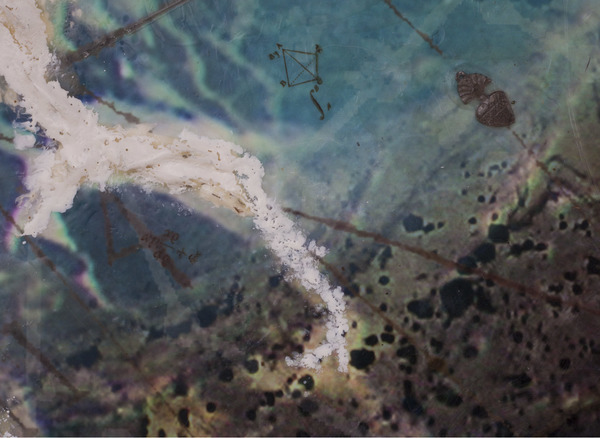 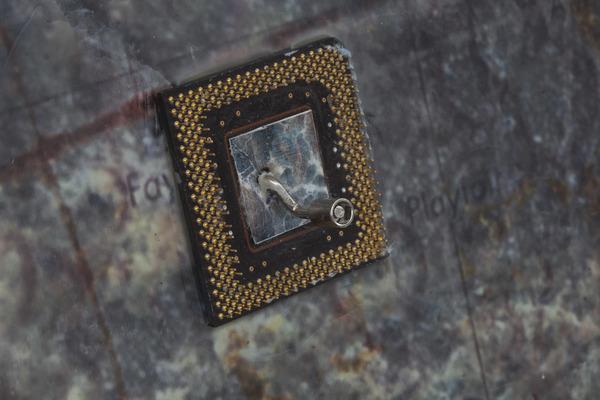 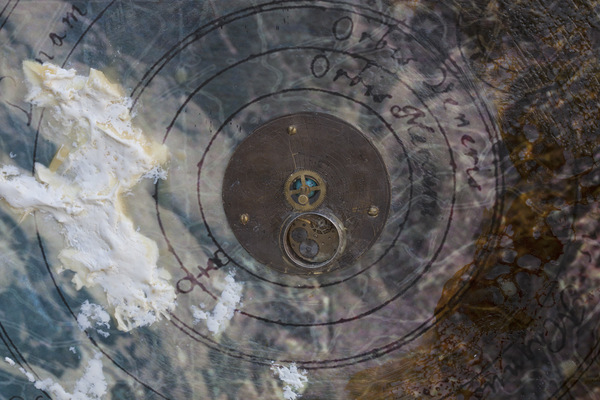 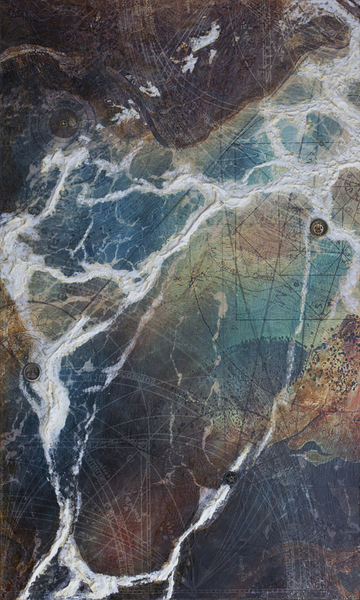 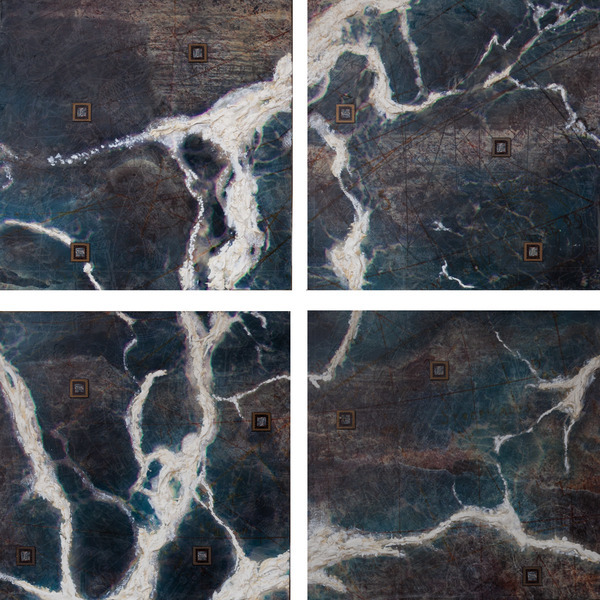 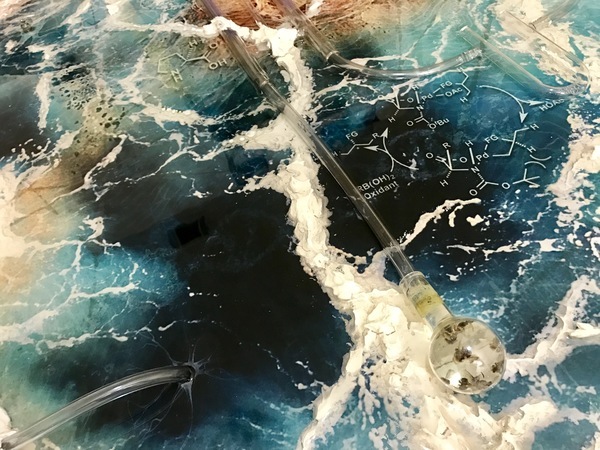 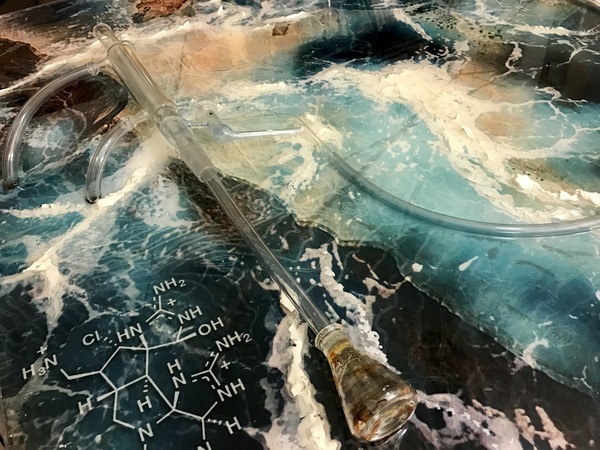 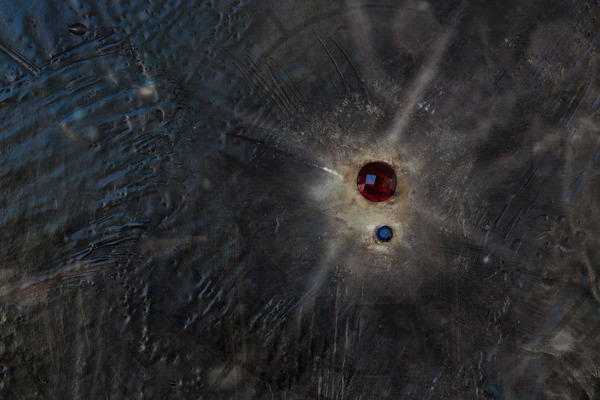 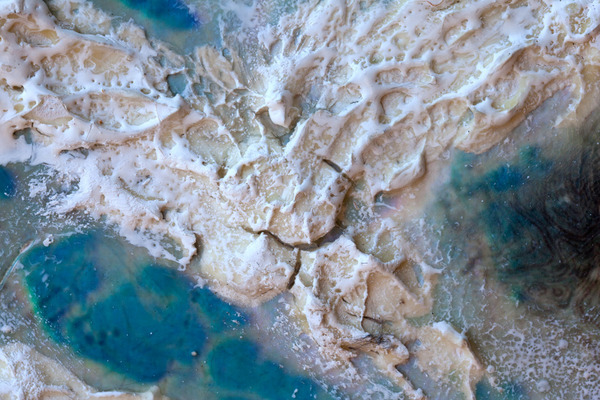 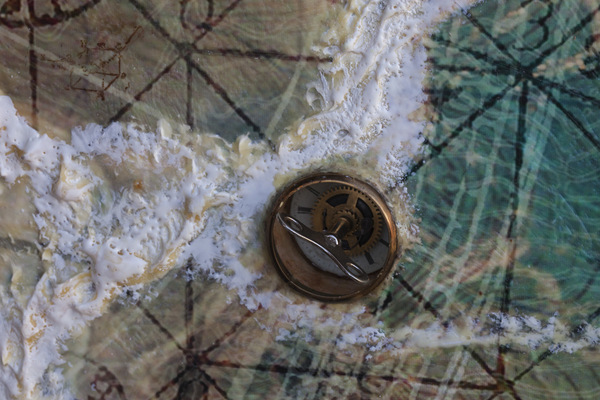 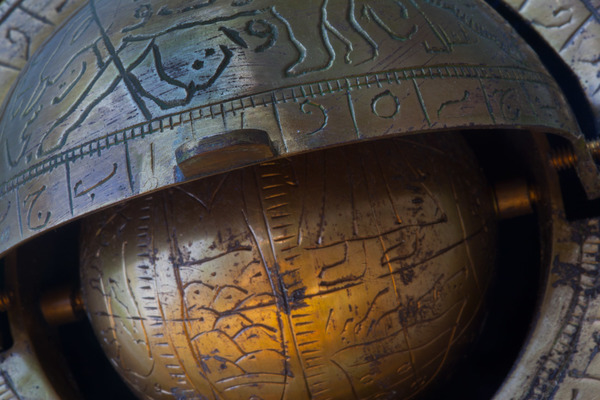 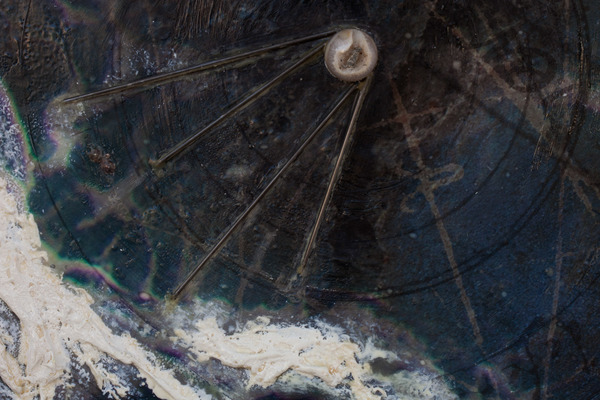 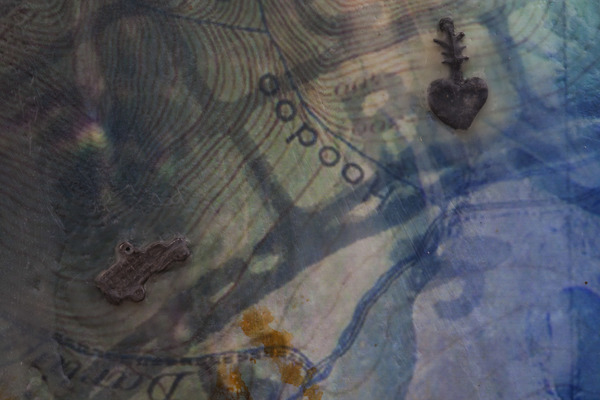 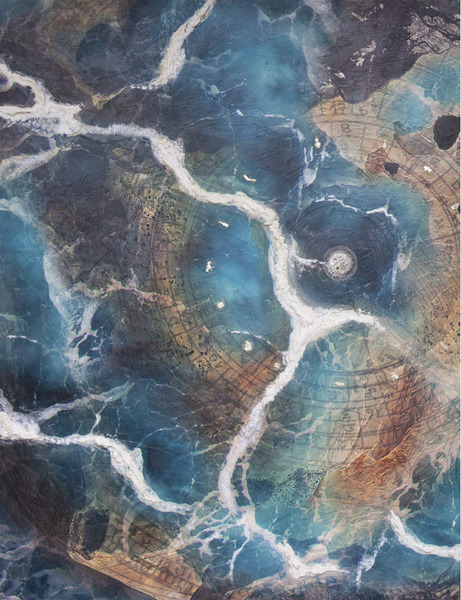 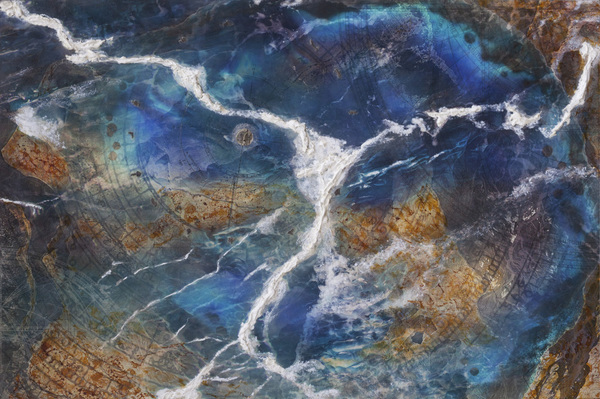 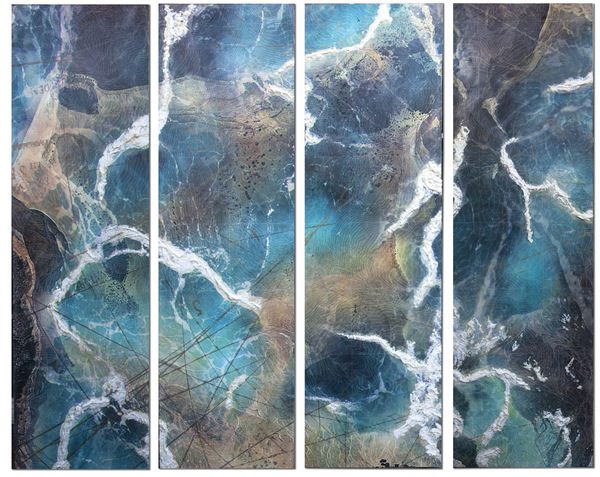 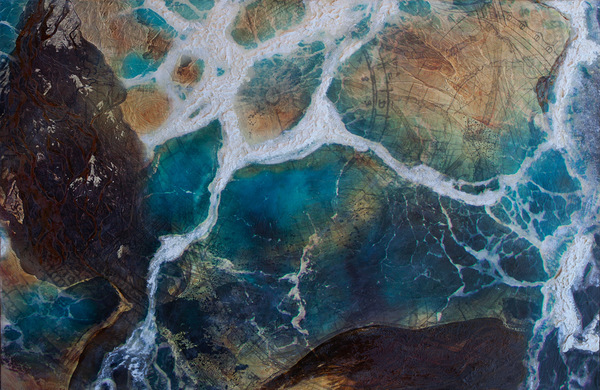 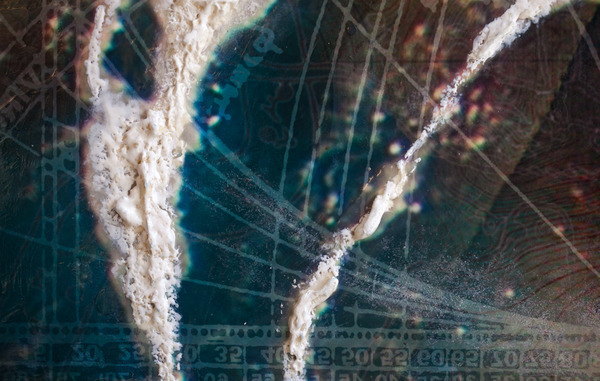 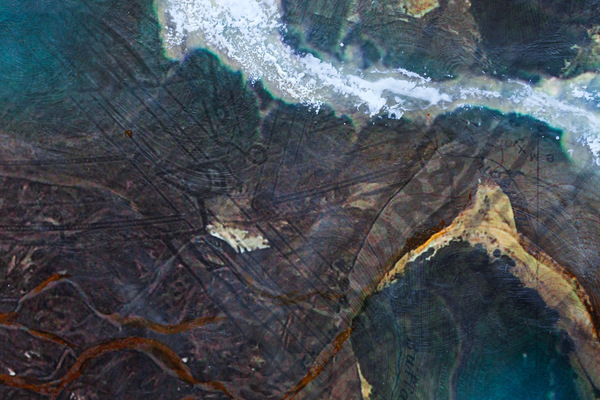 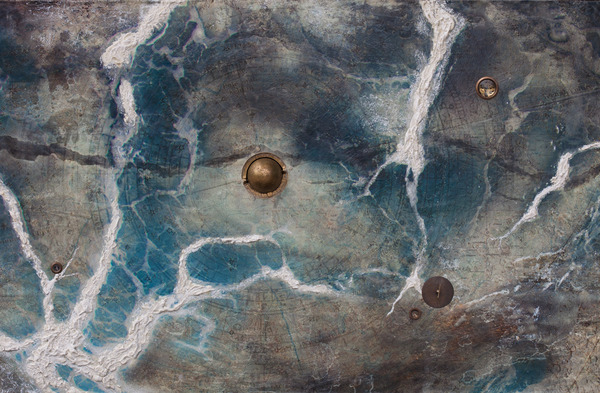 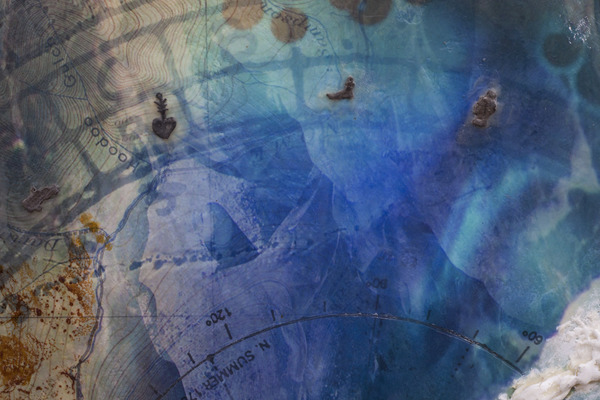 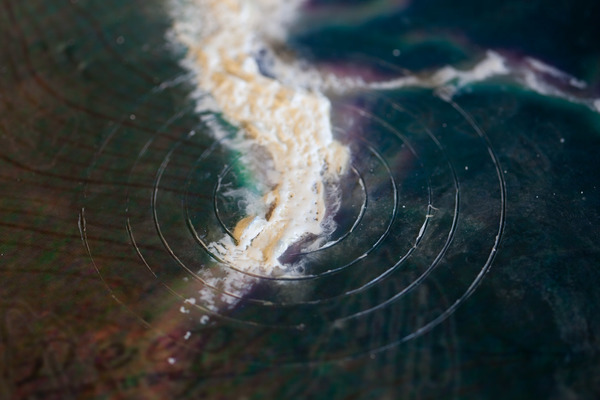 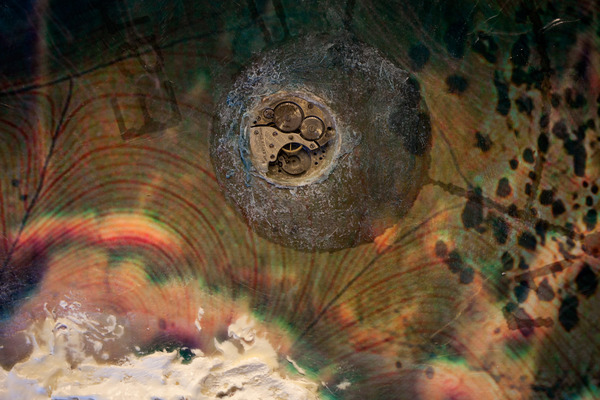 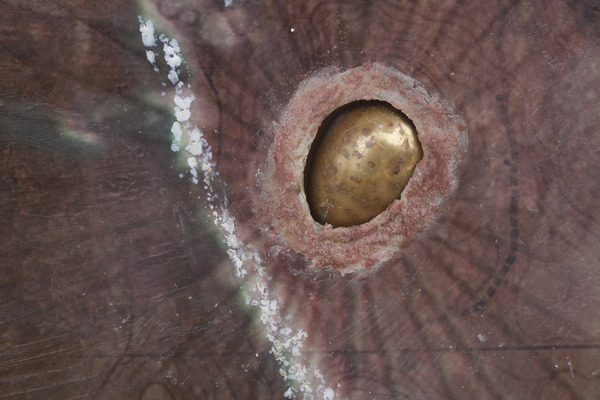 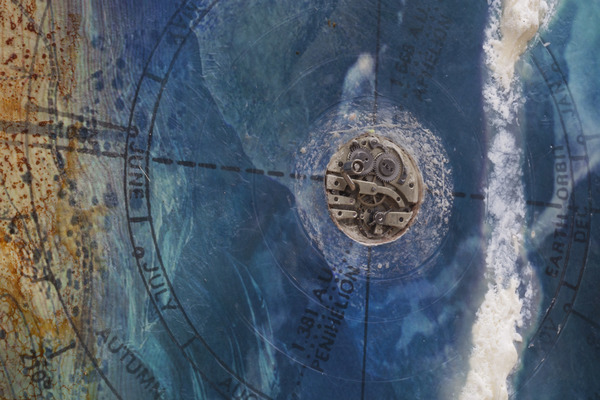 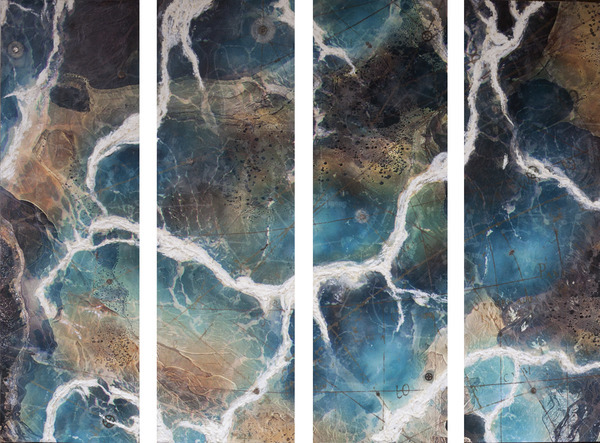 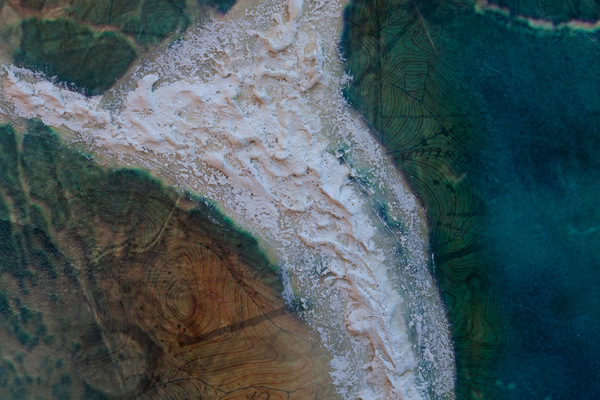 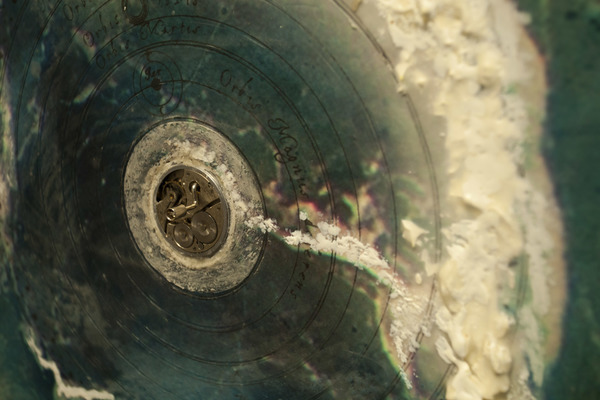 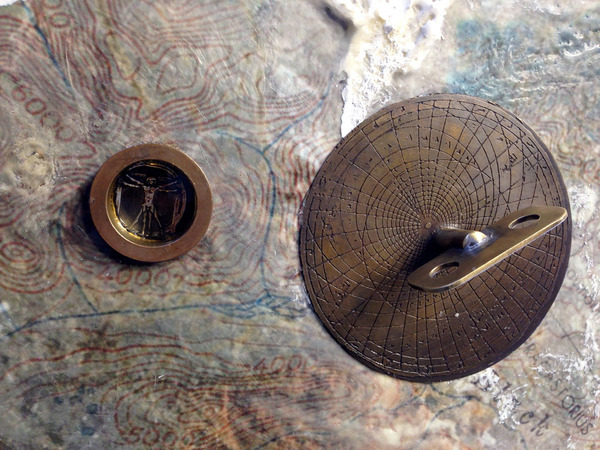 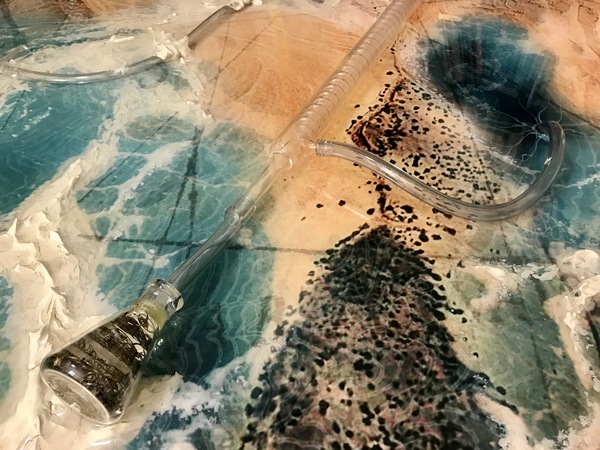 machina obscura, or "hidden machine" is a mixed media series blending original macro and drone photography of the ocean, terrain, ancient walls, cracks along the ground and all sorts of tiny oddities with maps, charts, and ephemera from long ago. 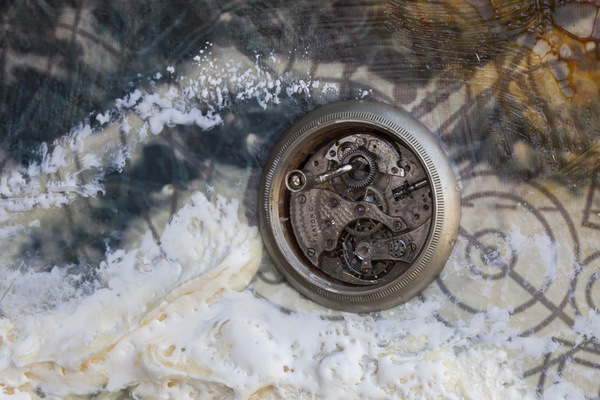 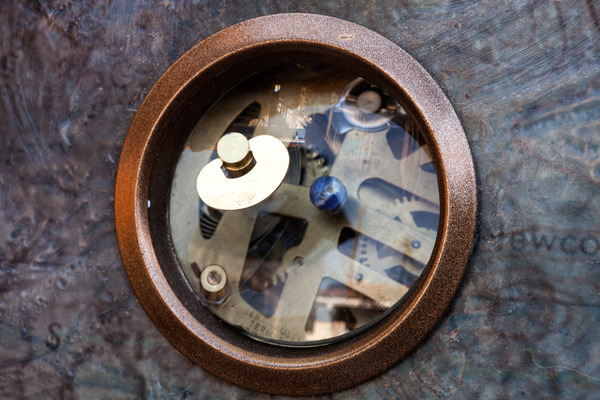 Gears, cogs, and clockwork echo the movements of planets and celestial bodies. 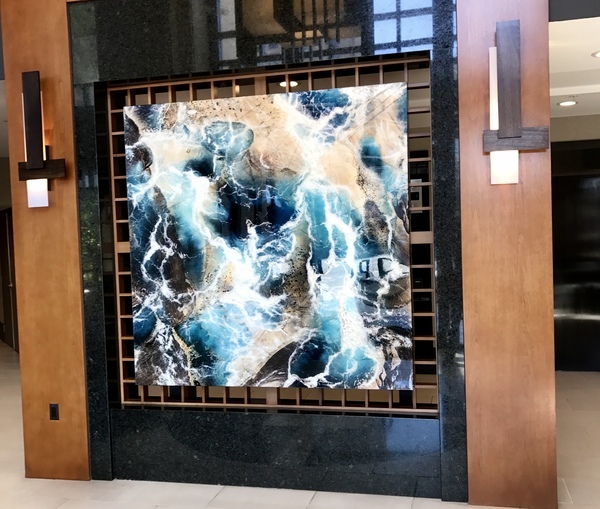 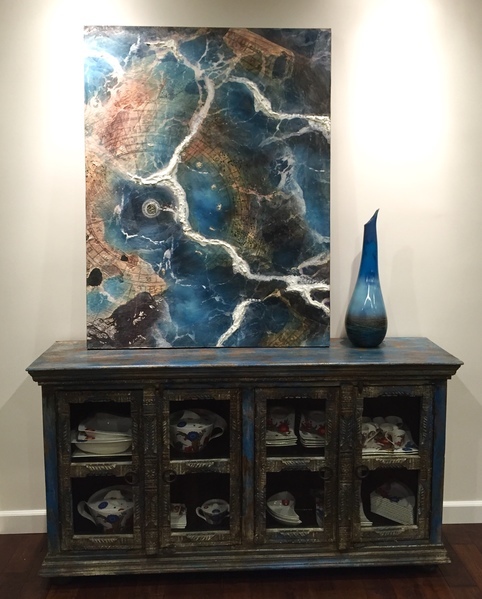 Each artwork is composed with layers and layers of encaustic which is then incised and pressed with additional designs from custom made stamps.